Israeli military investigation into the death of a Palestinian boy in Badares village, west of Ramallah, indicated that he came under heavy fire. Hebrew daily Haaretz said on Wednesday that the preliminary investigation into the incident revealed that Samir Awad was killed in intensive firing. The General Administration of border crossings and the Ministry of Interior and National Security documented the departure of 209,215citizens through the Rafah crossing during 2012. The annual statistical report issued by the General Administration of crossings confirmed that the Rafah crossing received 210,873 passengers during the past year, pointing out that the Egyptian side returned 26,199 passengers during the same year. Rafah crossing had witnessed during 2011 the arrival of 126,336 passengers and the departure of 130,935, according to the General Administration of crossings, while the Egyptian side returned 8048 travelers. In 2010, the Rafah crossing witnessed the arrival of 82,235 passengers and the departure of 85,210, according to the General Administration of crossings, while the Egyptian side returned 11986 travelers. In 2009, the Rafah crossing witnessed the arrival of 30,747 passengers and the departure of 29,723, according to the General Administration of crossings, while the Egyptian side returned 5421 travelers. Director-General of Border Crossing at Interior Ministry in Gaza, Maher Abu Sabha, confirmed that the Ministry of the Interior overcame most of the obstacles that hinder the Palestinian citizens' travel through the Rafah crossing. Abu Sabha called on official and popular institutions and private Palestinian schools and universities to direct their students' trips "to visit the crossing to see the national achievement of the Palestinian government, where the crossing became a source of pride for the Palestinian people". Abu Sabha said, in a radio interview, that the travel crisis through Rafah crossing witnessed after the Egyptian revolution a breakthrough where the numbers of travelers have increased to more than 1,000 passengers per day. He stressed that the Egyptian current leadership fulfilled most of its promises after the visit of Prime Minister Ismail Haniyeh to Egypt and his meeting with Egyptian President Mohamed Morsi and Prime Minister Hisham Qandil, where the travel process through Rafah crossing has become in every day of the week even in Fridays and holidays, with facilities to transport passengers from airports to the crossing. He pointed out that the age category between 18 to 40 years is treated by the Egyptian side as security cases who are not allowed to travel except after providing justification such as being pregnant, having a foreign passport or visa, or suffering serious health diseases. "We understand the difficult security situation in Egypt, but Gazan Interior Ministry asserts that it does not allow any Palestinian youth who has a criminal file to travel because we care for the Egyptian national security just as we care for the national security in the Gaza Strip", he added. Sabha confirmed that the advanced work witnessed on the Rafah crossing today is due to the wise crossing administration that facilitated the departure and arrival process through the crossing. Al-Aqsa Foundation for Waqf and Heritage said in a report on Tuesday that number of Jewish settler and elements of Israeli forces and intelligence service, storming and desecrating Al-Aqsa Mosque, has significantly increased in 2012. A statistical report, prepared by teams of al-Aqsa Foundation for Waqf and Heritage and the Foundation for Construction of al-Aqsa and Holy Sites, stated that nearly 11 thousand settlers and soldiers, in their military uniforms, stormed al-Aqsa Mosque during 2012. This number was 5 thousand in 2011. The report also pointed to the different forms of raids which increase during the "Jewish holiday seasons", noting that the settlers perform during the raids biblical and Talmudic rituals in Al-Aqsa Mosque. Al-Aqsa Foundation reported that the mosque has witnessed last year incursions by Israeli religious, political and judicial leaders, accompanied by suggestions to divide Al-Aqsa Mosque between Muslims and Jews. The Israeli authorities and settlers have also organized many Talmudic Anglo-Israeli concerts near Al-Aqsa Mosque under the slogan of accelerating the construction of the alleged temple. According to the report, the occupation has deliberately allowed around 300 thousand foreign tourists to enter al-Aqsa Mosque during last year, without taking into account its sanctity and sacredness to Muslims. For his part; Sheikh Raed Salah, head of the Islamic movement in the Palestinian 1948-occupied territories, told PIC: "The occupation seeks to escalate its aggression against Jerusalem in general and al-Aqsa Mosque in particular, by intensifying incursions into al-Aqsa Mosque, and performing Talmudic prayers inside it." He stressed that Israel attempts to divide al-Aqsa, as it did in the Ibrahimi mosque in al-Khalil. In its Weekly Report On Israeli Human Rights Violations in the Occupied Palestinian Territories for the week of 03- 09 January 2013, the Palestinian Center for Human Rights (PCHR) found that 2 Palestinian civilians, including a child, were wounded during Israeli invasions of the West Bank, and 1 in the Gaza Strip. Israeli forces continued to use excessive force against peaceful protests in the West Bank. 4 protesters, including 2 children, were wounded. Israeli forces continued to use excessive force against peaceful protests in the West Bank. 4 protesters, including 2 children, were wounded. Israeli forces conducted 54 incursions into Palestinian communities in the West Bank. At least 26 Palestinian civilians, including 3 children, were abducted. In the West Bank, on 03 January 2013, a Palestinian civilian was wounded when an Israeli undercover unit moved into the industrial zone, north of Jenin, to arrest a member of the Islamic Jihad. The Israeli forces then moved into the area amidst heavy fire. As a result, Fadi Ala' Abdul Latif Ejawi, 24, was wounded by a bullet to the leg. 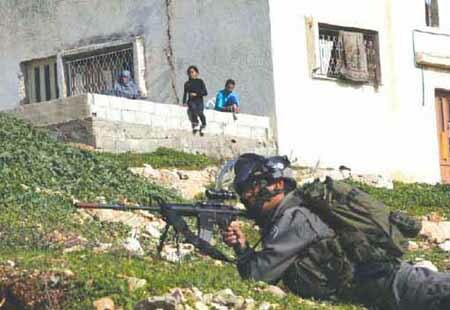 On 07 January 2013, a 17-year old boy was wounded during clashes in Beit Ummar village, north of Hebron. The Israeli forces moved into the village, deployed between the houses and started firing sound bombs and tear gas canisters. A number of boys gathered and threw stones at the Israeli soldiers. Israeli soldiers in return fired rubber-coated metal bullets. As a result, a child was wounded by a bullet to the right hand. On the level of house demolitions, on 08 January 2013, the Israeli forces demolished a house belonging to the family of Met'eb in the Old Town of East Jerusalem. The 3-storey house built on 150 square meters was still under construction. Fakhry Abu Diab, member of the Defence Committe of Silwan Lands, said that the Met'eb family had been trying for 8 years to obtain a construction license from the Israeli municipality, but in vain. He added that the extended family, comprised of 6 small families, was forced to start building the 3-storey house to keep their ID cards and residency in Jerusalem. The family rented a 4-room house in an attempt to find a shelter. In the Gaza Strip, on 05 January 2013, a trash collector was wounded when the Israeli Forces stationed at the border fence, north of the landfill, north of Beit Hanoun, opened fire at a waste truck in the landfill. The truck was 150 meters away from the border fence between Israel and the Gaza Strip. Besides, the truck sustained material damage. Israeli forces continued to fire at the Palestinian civilians in the border areas of the Gaza Strip. Israel has continued its settlement activities in the West Bank and east Jerusalem, in violation of international humanitarian law, and Israeli settlers have continued to attack Palestinian civilians and property. On 05 January 2013, the Israeli forces denied the Palestinian farmers from the al-Jbouar family access their lands in the east of Yatta village, south of Hebron. The farmers were threatened of arrest in case they violated the military order under the pretext that the area was a closed military zone for 24 hours. Rateb al-Jbour, coordinator of the Popular Committee against Settlement activities in Yatta, said that the Israeli forces attacked al-Jbour family several times during last year and denied them access to their lands in an attempt to confiscate those lands and annex them to "Ovijal" settlement. On 07 January 2013, Nitzan Alon, the GOC Central Command of the Israeli forces, signed a military order legitimizing 2 settlement outposts in the northern West Bank after combining them into 1 settlement named "Rechalim." The 2 settlement outposts were established in 1992, south of Nablus. It was posted on the official website of the regional council that "Yesh Din" Human Right organization had presented a petition to the Israeli High Court in order not to recognize the 2 settlement outposts, because they were established on private property. However, the Israeli government recognized the 2 outposts and combined them under the name of "Rechalim" settlement. On 04 January 2013, a group of Israeli settlers moved into al-Manshiya village, south of Bethlehem. They smashed the windows of a Peugeot Station car belonging to Khalil Jom'a Abu Daya, 35. They also wrote slogans against Arabs such as "paying the price". On 05 January 2013, dozens of heavily armed settlers gathered at the eastern entrance of Beit Ummar village, north of Hebron, under the protection of the Israeli forces. The Israeli forces closed the entrance of the village and denied the Palestinians access to the village. Ahmed Abu Hashem, member of the popular committee against settlement activities, said to a PCHR fieldworker that a large number of settlers gathered at the entrance of the village, accompanied by the head of settlements' security and the Israeli Infrastructure Minister. During an interview with the Israeli TV, the aforementioned minister announced a new plan to establish a security fence at the entrance of the abovementioned village and areas surrounding Bethlehem-Hebron road in order to secure the movement of settlers. As far as attacks on religious sites, on 06 January 2012, a group of settlers raided al-Nabi Dawood Mosque, southwest of al-Aqsa mosque in the Old Town of occupied Jerusalem. The settlers damaged the 3 sides of the msque that were made of Ottoman ceramic and marble. Additionally, the house goes back to the 17th century. It should be noted that the Israeli forces had previously seized the mosque and turned it into a Jewish synagogue. As a result, 4 Palestinian civilians, including 2 children, were wounded. Dozens of demonstrators suffered from tear gas inhalation and others sustained bruises as well. Following the Friday Prayer on 04 January 2013, dozens of Palestinian civilians and international and Israeli human rights defenders organized a peaceful demonstration in Bil'ein village, west of Ramallah, in protest to the construction of the annexation wall. The demonstrators gathered in the streets of the village, chanting slogans calling for national unity. The protesters aimed to stress the need to adhere to national principles and the right of return, to resist the occupation and to call for the release of all Palestinian prisoners. As a result, two Palestinian civilians, including a child, were wounded. The first person, an 18 year-old boy sustained a bullet wound in the neck, and the other one, a 16-year-old boy, sustained a bullet wound in his right arm. Also dozens of demonstrators suffered from tear gas inhalation and others sustained bruises. Also following the Friday Prayer on 04 January 2013, dozens of Palestinian civilians and international and Israeli human rights defenders organized a peaceful demonstration in Ne’lin village, west of Ramallah, in protest at the construction of the annexation wall and settlement activities. The demonstrators moved towards areas of the annexation wall. Immediately, Israeli soldiers stationed in the area fired rubber-coated metal bullets, sound bombs and tear gas canisters at the demonstrators. Around the same time on Friday, 28 04 January 2013, dozens of Palestinian civilians and Israeli and international human rights defenders gathered in the Martyrs Square in Nabi Saleh village, northwest of Ramallah, to hold a weekly peaceful protest against the construction of the annexation wall and settlement activities. The protesters walked towards the gate erected by Israeli forces near the entrance of the village, which leads to Palestinian lands that Israeli settlers from the nearby "Halmish" settlement are trying to seize. Israeli soldiers fired live and rubber-coated bullets, sound bombs and tear gas canisters at the protesters. As a result, two Palestinian civilians, including a child, sustained wounds and some demonstrators suffered from tear gas inhalation and others sustained bruises. Three demonstrators were abducted by Israeli forces; including the Spokesperson of B'Tselem - The Israeli Information Center for Human Rights in the Occupied Territories. Also following the Friday Prayer, dozens of Palestinian civilians and international human rights defenders organized a peaceful demonstration in the center of al-Ma’sara village, south of Bethlehem, in protest at the ongoing construction of the annexation wall. As the protesters moved towards the gate of the village, the Israeli forces closed it to prevent the demonstration from gaining access to the confiscated land and attacked the participants. As a result, some demonstrators suffered from tear gas inhalation and a 41-year old man sustained bruises in his right foot. At approximately 12:15 also on Friday, dozens of Palestinian civilians and international human rights defenders organized a peaceful demonstration in the center of Kuffor Kadoum village, northeast of Qalqilya, in protest to the continuous closure of the eastern entrance of the village since the outbreak of al-Aqsa Intifada. The demonstrators moved towards the entrance of the village. Immediately, Israeli forces, stationed in the surroundings of the steel gate established at the entrance, fired tear gas canisters and rubber-coated metal bullets. At approximately 11:00 on Saturday, 05 January 2013, dozens of Palestinian civilians, international and Israeli human rights defenders, gathered in the center of Bait Ummar village, north of Hebron, for the weekly peaceful demonstration organized against the settlement expansion policy, the construction of the annexation wall and the detention of children. The demonstrators headed towards the confiscated farmlands near the security fence of "Kermi Tsour" settlement, east of the village. A group of Israeli soldiers surrounded the demonstrators, fired tear gas canisters and started a hand fight with them. As a result, dozens of participants suffered from tear gas inhalation. The Israeli occupation authorities continued last December their repressive policies against the Palestinian people killing 3, wounding 80, and kidnapping 322. The monthly report concerning the Israeli violations against Palestinian people, issued by the Ministry of Planning in the Palestinian government in Gaza, stated that the Israeli abuses have escalated after the truce between the Palestinian factions and the Israeli entity sponsored by Egypt in 21/11 / 2012, after the Israeli aggression on the Gaza strip. The report documented the martyrdom of two Palestinians after being injured during the aggression, and the martyrdom of a third citizen in the West Bank. It pointed out that the IOF carried out approximately 4 incursions in the Gaza Strip, and 170 incursions in the West Bank cities and towns, during which they launched arrest and search campaigns. The number of arrests during December is about 322 including 34 children, 3 women, 30 fishermen from the Gaza strip after being attacked in the sea of Gaza, while arresting 5 Palestinian youths near the separation fence. The report addressed the situation of detainees in Israeli prisons, where they were subjected to harassment, strip searches, night raids, medical negligence and solitary confinement. It also pointed out to the deteriorating health condition of the prisoners on hunger strike for months, particularly Ayman Sharawna and Samer al-Issawi. The report also indicated to the settlers' attacks during the December under the protection of the Israeli army, where the settlers attacked farmers and their land, and they broke into Islamic shrines under the pretext that they are Jewish shrines, in addition to their repeated incursions into Al-Aqsa Mosque to perform Talmudic rituals. Settlement projects in the West Bank have witnessed unprecedented escalation following the recent Israeli aggression on Gaza, and the recognition of Palestine as a non-member state by the UN. 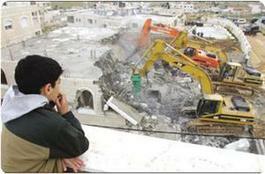 The report pointed to the high frequency of demolition of homes and establishments, where IOF demolished more than 10 houses, and demolished the village of Araqib for the 45th time respectively, and issued more than 10 demolition notifications to owners of houses and facilities, pointing out that 2012 recorded the highest number in the process of demolition of homes. The report documented the Israeli attacks against journalists in order to impose a state of opacity for the Israeli crimes against the Palestinian people. The report also pointed out to the Israeli continued arbitrary measures against Jerusalemites and their properties in the city of Jerusalem in order to Judaize it and deport its people, where MK Reuven Rivlin stated that "settlement construction issue in Jerusalem is nonnegotiable." Palestinian Center for Development and Media Freedoms (MADA) monitored a decrease in violations of media freedoms against journalists and media outlets in occupied Palestine during the month of December 2012 has been observed, especially following the bloody month of November which was characterised by a profusion of violations, especially in the Gaza Strip. The month of December witnessed a grotesque violation of media freedoms and human dignity when occupation troops forced Reuters photographers Mamoun Wazwaz and Yusri Aljamal to remove their clothes in cold weather. MADA Center also monitored several violations commited by Israeli occupation forces in the West Bank, focused primarily in the south (in the cities of Hebron and Bethlehem). In the Gaza Strip no violations by the Israeli occupation were witnessed, however journalists continue to work in difficult conditions due to the bombing of several media headquarters. Palestinian violations against journalists have also declined; MADA Center monitored two violations over the past month, one in the West Bank, the other in the Gaza Strip. The days of 12th and 13th December witnessed an escalation of violations by the occupation against Palestinian journalists in city of Hebron in the West Bank. A group of journalists were beaten, targeted with tear gas grenades, arrested and insulted. This group included: Reuters photographers Mamoun Wazwaz and Yusry Aljamal, Al-Quds TV correspondent Akram Natshe, freelance reporter Muhammad Alzgiar, Associated Press photographers Nasser Shyoukhi and Hazem Bader, European Agency photographer Abdul Hafez Hashlamoun and Reuters photographer Ammar Awad. The Israeli occupation forces also detained a group of journalists for an hour in the city of Bethlehem as they prepared reports on the occupation's attacks against the home of one of the Palestinians in Khader city, on Tuesday 18th December 2012. This group included: Al-Quds TV correspondent Mamdouh Hamamreh, Pal Media Agency cameraman Abdul Ghani Natshe, correspondent for Radio Bethlehem 2000 Fadi Al-A'ssa, and Al-Aqsa TV reporter Suhaib Al-A'ssa. Regarding Palestinian internal issues, the Preventive Security Force raided the house of Al-Aqsa TV correspondent Ahmed Al-Khatib, arresting him for three days. The Hamas government in Gaza prevented the Palestinian Journalists Syndicate from holding celebrations honoring their members on Saturday 29th December 2012, on the grounds of illegality. The Palestinian Center for Development and Media Freedoms (MADA) condemns all violations against media freedoms in Palestine and calls for both their cessation and for the respect of freedom of expression, guaranteed by the Universal Declaration of Human Rights. MADA congratulates journalists worldwide at the beginning of the New Year. It hopes that 2013 will be an improvement on the previous year and free of violations, as 2012 proved to be the worst year for many years for journalists in the state of Palestine and particularly countries such as Syria, Somalia, Mexico and Pakistan. MADA also expresses its deep appreciation for Palestinian journalists, for their work and their dedication to covering events, particularly those most dangerous, in Palestine during 2012. They paid a heavy price in undertaking their work and revealing the truth during November, when three colleagues were lost during the Israeli aggression on Gaza. These colleagues include: Hussam Mohammed Salameh, Mahmud Ali Komi, and Mohamed Moussa Abu Eisha, in addition to many other journalists subjected to multiple attacks. Many headquarters of local, Arab and international media were shelled by the Israeli occupation, damaging several them in the Gaza Strip. The occupation forces also raided the headquarters of many media outlets, confiscated equipment and devices in the West Bank. (12 Dec) The occupation forces attacked a number of journalists in Hebron as they reported on the martyr Mohamed Salaymeh, who was shot and killed by an Israeli soldier. The journalists include: Reuters photographers Mamoun Wazwaz and Yusry Aljamal, Al-Quds TV correspondent Akram Natshe and freelance reporter Muhammad Alzgiar. Wazwaz informed MADA that he and his colleagues were travelling to the old town in an agency car after having heared about Mohamed Salaymeh killing. However, around 400-500 meters ahead of their intended destination, they were impeded by Israeli soldiers who began shooting in the air and aiming lasers in their direction. Wazwaz and his team stopped the car and undertook safety measures to highlight their status as journalists. He added: "despite that about ten soldiers approached and ordered us to get out of the car, they beat us madly, and ordered us to take off our clothes in a bitter cold. Then they fired tear gas grenades between our feet. It was a very scary situation, we were attacked by beat, tear gas and cursing while the weapons over our heads. I remembered my kids at the moment, where I thought I would never see them again". (13 Dec) The Israeli occupation forces attacked a group of journalists in Hebron, the West Bank, as they covered clashes that arose between Palestinians and Israeli occupation forces on 13th December 2012. Associated Press photographer Nasser Shyoukhi informed MADA that he and three colleagues (AP photographer Hazem Bader, European Agency photographer Abdul Hafez Hashlamoun and Reuters photographer Ammar Awad) were reporting on recent clashes between Palestinians and occupation forces near Tareq ben Zaid school, when soldiers approached, denying them permission to film and ordering them to evacuate the area. The journalists refused and Hazem Bader was subsequently arrested by a soldier. Shyoukhi added: "We insisted to cover, so they threat to arrest all of us, even so we refused and demanded them to release Bader, they were talking with us in a very mean way". Bader told MADA: "They arrested me for about 45 minutes in a very brutal way, where they tied my hands behind my back, beat me on my feet and my back, and cursing me all the time. One of the soldiers tried to fabrication charge me that I tried to assault him, but my colleagues of photographers documented the arrest. They released me after the intervention of the French Agency Office and communication with the army spokesman in the region". (18 Dec) The Israeli occupation forces detained a group of journalists in the city of Bethlehem as they prepared reports on Tuesday 18th December 2012. The journalists include: Al-Quds TV correspondent Mamdouh Hamamreh, Pal Media Agency cameraman Abdul Ghani Natshe, correspondent for Radio Bethlehem 2000 Fadi Al-A'ssa, and Al-Aqsa TV reporter Suhaib Al-A'ssa. Mamdouh Hamamreh informed MADA Center that he went with a number of colleagues to prepare reports on the attacks by settlers on a house in the village of Alkhader, near Bethlehem city, and the suffering such attacks inflicted upon the household. Hamamreh reported: "While we were doing our work, a group of Israeli soldiers came, banned us from filming, and detained us for about an hour, and then they released us, but we could not do our job". (18/12) A number of Preventive Security members raided the home of Al-Aqsa TV correspondent Ahmed Al-Khatib, arresting him subsequent to searching his house in Betunya town near Ramallah, on the evening of Tuesday 18th December 2012. According to Khatib, the Preventive Security Force arrested him for three days, interrogating him over his work as a journalist and his salary, in addition to other personal questions. Khatib reported: "I was so disturbed from the way they entered the house and searched it, they also made me disable to work for three days. For treatment it was good, I did not subjected to any harassment". (29 Dec) The Government Media Office and internal security service of the Hamas government in Gaza prevented the Palestinian Journalist Syndicate from holding a ceremony honoring its members in Gaza on Saturday 29th December 2012. The Syndicate distributed invitations to journalists to attend the celebration at Alsalam restaurant in Gaza City at 12 noon, to honor journalists in Gaza for their efforts. They were told on Thursday 27th December 2013 to cancel the ceremony. The Syndicate secretary in Gaza, journalist Yousef Alostaz, told MADA center that he had received a call both from the Government Media Office and from the Internal Security Service informing him that Palestinian Journalists Syndicate is not permitted to hold the celebration due to the organisation's illegality. RAMALLAH, (PIC)-- The Israeli army and police still persist in violating the rights of the Palestinian children enshrined in international laws and conventions, human rights group B'Tselem said. B'Tselem affirmed on its website that Israel violates the international law through arbitrarily kidnapping Palestinian children and minors from their homes overnight and detaining them in interrogation centers to extract confessions from them under pressure and threat. It said that the lengthy detention of young detainees, in conjunction with other restrictions imposed on them such as denying them legal counsel, isolating them from the rest of the world with no monitoring of either detention or interrogation, invites improper behavior by the investigating authorities as well as the use of unacceptable interrogation methods. It added that Israel's inflated periods of detention, seriously infringe Palestinians’ fundamental rights including their rights to liberty, due process, human dignity and equality. Israel also violates its own law regarding the maximum period of detention, 12 hours for minors up to age 14 and 24 hours for minors aged 14-18, and allows its security and military forces to double and exceed these periods at the pretext of interrogation, B'Tselem stated. RAMALLAH, (PIC)-- An official Palestinian report said that groups of Israeli settlers in the occupied West Bank have seized more than five thousand dunums of agricultural lands in the northern Jordan Valley. The National Bureau for Defending the Land and Resisting Settlement noted in its weekly report, released Saturday, that the Israeli occupation authorities had transferred these large tracts of Palestinian land to the ownership of the settlers, and prevented their original owners from entering it. The report pointed to the escalation of the attacks carried out by the settlers and the price tag operations against Palestinian citizens during the last week; represented in burning vehicles, demolishing houses, uprooting olive trees, storming Islamic shrines and attacking Palestinian civilians. The occupation authorities have seized over the past week 456 dunums of agricultural lands owned by the village of Beit Igza, northwest of Jerusalem, for the purpose of establishing a security wall around the village that will isolate more than 12 thousand dunums of lands and historical places in the village and will turn them into "a big prison", according to the report. The occupation authorities had decided last week to deport hundreds of Palestinians from the Jordan Valley, under the pretext of carrying out military training in the region. These procedures come within the Israeli scheme designed to depopulate the Jordan Valley in preparation to control it and seize its rich agricultural lands, the report concluded. In its Weekly Report On Israeli Human Rights Violations in the Occupied Palestinian Territories for the week of 27 Dec.- 02 Jan. 2012, the Palestinian Center for Human Rights (PCHR) found that Israeli troops wounded 42 Palestinian civilians, including 8 children, in the West Bank, and a Palestinian child who was collecting rubble and firewood in the northwest of Beit Hanoun in Gaza. The Israeli Forces conducted 83 incursions into Palestinian communities in the West Bank. At least 29 Palestinian civilians, including 10 children, were abducted. On 31 December 2012, 2 Palestinian civilians, including a child, were wounded when the Israeli forces moved into Salfit and fired at a group of boys who protested against the Israeli forces and threw stones at them. On 01 January 2013, 36 Palestinian civilians, including 6 children, were wounded when the Israeli forces moved into Tamoun village, southeast of Tubas, to arrest a wanted person. Clashes erupted between the Israeli forces and dozens of Palestinians, during which the Israeli forces used excessive force to disperse the protesters. On the same day, a Palestinian civilian was wounded when the Israeli forces moved into Oreef village, southeast of Nablus, and fired at dozens of boys who gathered to protest against the Israeli forces. Also on the same day, 3 Palestinian civilians, including a child, were wounded when the Israeli settlers moved into Qasra village, southeast of Nablus. The settlers cut off 12 olive trees. As a result, dozens of Palestinians gathered and threw stones at the settlers, but the Israeli forces intervened to protect the settlers by firing tear gas canisters and rubber-coated metal bullets. In the Gaza Strip, on 31 December 2012, a Palestinian child was wounded when the Israeli Forces stationed along the border fence in the northern Gaza Strip opened fire at a group of rubble and firewood collectors. The abovementioned child was wounded when he was about 500 meters away from the border fence. 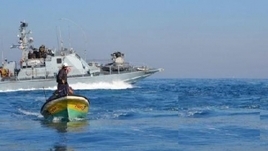 In the context of targeting Palestinian fishermen in the sea, the Israeli gunboats positioned in the sea opened fire at the Palestinian fishing boats thrice during the reporting period. The 3 attacks were respectively conducted on 27, 28 and 29 December 2012. Israeli gunboats positioned off al-Waha resort in the northern Gaza Strip opened fire for about 10 minutes at the Palestinian fishermen, who were sailing 6 nautical miles off the shore, and terrified them. As a result, they fled back to the shore for fear of being abducted or wounded. Neither casualties nor material damage were reported. The Israeli Forces continued to use excessive force against peaceful protests in the West Bank. Dozens of Palestinian civilians suffered from tear gas inhalation. Following the Friday Prayer on 28 December 2012, dozens of Palestinian civilians and international and Israeli human rights defenders organized a peaceful demonstration in Bil'ein village, west of Ramallah, in protest to the construction of the annexation wall. The demonstrators gathered in the streets of the village, chanting slogans calling for national unity. The protesters aimed to stress the need to adhere to national principles and the right of return, to resist the occupation and to call for the release of all Palestinian prisoners. Also following the Friday Prayer on 28 December 2012, dozens of Palestinian civilians and international and Israeli human rights defenders organized a peaceful demonstration in Ne’lin village, west of Ramallah, in protest at the construction of the annexation wall and settlement activities. Around the same time on Friday, 28 December 2012, dozens of Palestinian civilians and Israeli and international human rights defenders gathered in the Martyrs Square in Nabi Saleh village, northwest of Ramallah, to hold a weekly peaceful protest against the construction of the annexation wall and settlement activities, title. At approximately 09:00 on Saturday, 29 December 2012, dozens of Palestinian civilians and activists from Ta'ayush, an Israeli peaceful movement, gathered at the entrance of Susiya village, southeast of Yatta, south of Hebron. The demonstration was organized in protest to the closing of the road that links the village with Yatta and al-Samou' village on Thursday, 27 December 2012. The Israeli forces used force to disperse the demonstrators. No injuries were reported. At approximately 10:00 the same Saturday, dozens of Palestinian civilians, international and Israeli human rights defenders, gathered in the Center of Bait Ummar village, north of Hebron, for the weekly peaceful demonstration organized against the settlement expansion policy, the wall and the arrest of children. The demonstrators headed towards the confiscated farmlands near the security fence of "Kermi Tsour" settlement, east of the village. A group of Israeli soldiers surrounded the demonstrators and started a hand fight with them. No injuries or arrests were reported. Israel has continued efforts to create Jewish majority in East Jerusalem. 2 houses were demolished; one of which was inhabited and the other was under-construction. On 27 December 2012, a group of Israeli settlers from "Yesh Koudesh" settlement, southeast of Nablus, damaged 40 olive trees in Kamel area. The trees' ages ranged between 1 to 3 years. On 28 December 2012, a group of Israeli settlers from "Beit Hagai" settlement moved into the Palestinian lands in Kanar area, southwest of Hebron. They wandered in the lands near the springs under the Israeli forces' protection. On 29 December 2012, a group of Israeli settlers from "Sousia" settlement, south of Hebron, attacked farmers from al-Shamasti family, when they were grazing their sheep and plowing their lands near the abovementioned settlement. The settlers prevented the farmers from working in their lands and maltreated then under the Israeli Forces' protection. On 01 January 2013, a group of settlers from "Kfar Etzion" settlement, south of Bethlehem, set fire to a Toyota car and a tractor belonging to Soheil Breighith, 49, in Beit Ummar village, north of Hebron. On the same day, the settlers cut off and damaged 250 olive trees, whose ages range between 1 to 3 years, southeast of Nablus. The settlers moved again in Basalta area on the same day and cut off 12 olive trees. Dozens of Palestinians gathered and threw stones at the settlers, but the Israeli Forces intervened to protect the settlers. They fired gas canisters and rubber-coated metal bullets at the Palestinians. As a result, 3 Palestinians, including a child, was wounded. On 02 January 2013, a group of Israeli settlers from "Efrat" settlement, south of Bethlehem, broke into "al-Ahmadiya" Mosque in al-Faghour area near the settlement. The settlers also set themselves up at the top of the mosque and then withdrew. Due to the number and severity of Israeli human rights violations this week, the PCHR made several recommendations to the international community. Among these were a recommendation that the European Union activate Article 2 of the Euro-Israel Association Agreement, which provides that Israel must respect human rights as a precondition for economic cooperation between the EU states and Israel. PCHR further calls upon the EU states to prohibit import of goods produced in illegal Israeli settlements in the West Bank. Palestinian Centre for Human Rights (PCHR) is closely following the statements made by the Israeli authorities concerning significant facilities on the closure imposed on the civilians in the Gaza Strip, for more than six years. PCHR calls upon the Israeli authorities to first of all lift this unjust closure completely, as it is a form of collective punishment prohibited under the international humanitarian law, and second to discontinue all the unjust restrictions imposed on the movement of civilians and thirdly allow the free movement of trade; including imports and exports to and from the Gaza Strip. On 31 December 2012, Major General Etan Dankot, Operations Coordinator in the Occupied Territories, stated to the Israeli Radio that Israel would allow the entry of raw construction materials, passenger buses, and trucks, and improve the capacity of electric power on the Israeli electricity networks destined for the Gaza Strip for the first time since the closure was imposed on the Gaza Strip. In the light of experience of the past years, PCHR emphasizes that such facilities are mysterious and deceptive as the new allegations about this have not allowed the entry of all needed materials for the Gaza Strip. These facilities have not determined the amount of raw materials and the number of buses and trucks which will be allowed in. The allegations have neither mentioned any kind of change concerning exports from the Gaza Strip to the West Bank and other countries or their nature. Moreover, such facilities are provided for the very first time. PCHR believes that these statements are consistently aimed at institutionalizing the closure and to create an international environment for acceptance of the essence of this policy. PCHR believes also that the primary key in dealing with the closure imposed on the Gaza Strip should begin by acknowledging that this policy is illegal, and falls under the policy of collective punishment imposed on the civilian population of the Gaza Strip. These statements, which talk about partially lifting the closure or trying to beautify this policy within the framework of the humanitarian perspective, is a clear violation of the international humanitarian law, including the 1949 Fourth Geneva Convention relative to the Protection of Civilian Persons in the Time of War. What is truly required, is the lifting of the unjust closure completely that will allow the free movement of both persons and goods. The limited procedures of easing the closure, declared by Israeli Authorities, will not end the suffering of the civilians in the Gaza Strip who have borne the consequences of the unjust closure for 6 successive years as they do not address the essence of the crisis. Therefore, the closure must be completely and immediately lifted and a radical change should be made in the Israeli policies to end the severe crisis facing Gaza. The Israeli Authorities continue to allow the entry of certain limited goods while they keep on imposing restrictions on the entry of other goods, including the raw materials. As a result, the situation of the Gaza Strip will continue to deteriorate and no real change will happen in the economic and social conditions of the Gaza population. The ongoing ban on imports of Gaza, including industrial and agricultural products, limits the possibility of reviving the Gaza Strip economy which has been continuously deteriorating due to this ban. The Israeli policies and recent allegations of easing the closure imposed on the Gaza Strip is an attempt to institutionalize the closure and its success implies the Israeli manipulations of international law, including the international humanitarian law and human rights law. Over the past 6 years, the international community has failed to enforce the international humanitarian law and human rights law. This stigmatizes the High Contacting Parties of the 1949 Fourth Geneva Convention which have failed to take practical measures in accordance with their legal obligations to force the Israeli authorities to respect the Convention and stop all their policies that violate economic, social, and cultural rights of the Palestinians as well as their civil and political rights. The best approach to end the devastating consequences caused by the Israeli policies against the civilian population of the Gaza Strip is not represented by the Israeli declaration of alleged facilities or by lifting the blockade partially; rather, by immediately declaring an end of it completely. The Israeli government approved in 2012 tenders for the construction of 2386 settlements in occupied Jerusalem, compared to 772 units approved in 2011 and 256 in 2010, Israeli human rights group Ir Amim reported. Israeli daily, Haaretz, reported that there are clear indications that the government of Prime Minister, Benjamin Netanyahu, intends to construct the new homes for Jewish settlers, especially since the Israel’s Regional Construction and Planning Committee approved all new decisions to construct these units. GAZA, (PIC)-- Al-Mizan center for human rights said that Israel is still persistent in its extortion and detention policy against the Palestinian passengers especially the patients who want to travel through Beit Hanoun crossing (Erez) in the north of the Gaza Strip. The center stated in a press release on Wednesday that the latest incident happened last Tuesday to a Gazan patient named Rafiq Abu Harbeed who was kidnapped after he arrived at the crossing at the request of the Israeli intelligence agency in order to listen to its approval or refusal of his reported medical need for treatment in Al-Makassed hospital in occupied Jerusalem. The center said that the number of detainees kidnapped at Beit Hanoun crossing during the past year was six Palestinian passengers, four of them were patients and two were relatives escorting their patients. It added that it had documented the kidnapping of 19 patients and three escorts at the crossing since 2009. AL-KHALIL, (PIC)-- The Palestinian Land Research Center confirmed that the Israeli occupation authorities (IOA) have stepped up significantly, over the past year (2012), the confiscation and demolition policies in the West Bank, where they confiscated 28 thousand dunums (1dunum=1000 square meters) and destroyed 600 homes. The center said, in a report, said that in 2012 was "the most formidable in terms of seizing land and uprooting, burning, and bulldozing trees, and the most formidable in terms of demolishing Palestinian houses and terrorize and displace their owners. The center has documented the confiscation of about 28 thousand dunums (2,800 Hectares) of Palestinian land for Jewish settlement, an increase to more than double the area of land confiscated in 2011. Most of the confiscation took place in occupied Jerusalem. The center also documented in 2012 the demolition of around 600 Palestinian homes and properties in the West Bank, including about 106 in Jerusalem, 121 in al-Khalil, an increase of 12 per cent over the year 2011, pointing out that the demolition orders have increased by about 60 per cent compared to 2011. According to the center, 37 thousand trees were burned or uprooted, including about 31 thousand olive trees, an increase of about 85 per cent compared to 2011, including 5600 trees in al-Khalil, 500 trees in occupied Jerusalem, and 10260 trees in Nablus. The Israeli occupation authorities demolished more than 60 wells in the West Bank, including 6 in Jerusalem, 31 in al-Khalil, while new demolition orders were issued for about 47 wells, about seventy per cent of them in al-Khalil, while confiscating 21 water tankers concentrated in the northern Jordan Valley. GAZA, (PIC)-- The international campaign for freeing kidnapped Palestinian MPs said the Israeli occupation forces (IOF) re-kidnapped 12 Palestinian lawmakers from Hamas during the past year 2012. In a statistical report, the international campaign stated that the IOF, during the past year, rejailed 12 MPs from Hamas after it had previously released them, set free nine others, issued 27 administrative sentences against them and raided their homes and offices 10 times. The campaign affirmed that the Israeli regime and its forces unprecedentedly escalated its violations against the Palestinian lawmakers during 2012 and even targeted their families without any regard for their diplomatic immunity. Head of the campaign Mushir Al-Masri said, in turn, that the international silence encouraged the Israeli regime to resume the kidnapping of lawmakers. Masri stressed that the parliamentary institutions around the world should assume their political and moral responsibilities towards the Palestinian lawmakers and end Israel's illegal actions against them. RAMALLAH, (PIC)-- According to a report issued by the Department of Statistics, the total number of arrests against Palestinian children by the Israeli authorities has increased by 26% during 2012 compared to its previous year 2011. The report indicates that the Israeli occupation forces have arrested 880 Palestinian children during 2012, with an average of 73 cases of arrest per month, considering that "a serious and alarming indicator", in light of the continuation of targeting the children and detaining them in the jails in difficult conditions, and in light of the escalation of the serious violations against them. The occupation authorities are still holding in its prisons and detention centers about 190 children under the age of 18, deprived from their most basic rights. The official report noted that all the detained children have been exposed to different kinds of physical as well as psychological torture, in addition to pressure, inhuman and cruel treatment and deprivation. It added that the Israeli authorities have been blackmailing the detained children and using force to extract their confessions, and then sentencing them to long years of imprisonment, and sometimes to life imprisonment, which is contrary to all international charters and conventions, particularly those related to child rights. OCCUPIED JERUSALEM, (PIC)-- Wadi Hilweh Information Center in Silwan revealed the arrest of 350 Palestinians during the last six months until the end of 2012, including dozens of children and women, in a report released on Monday. The report shed light on the most prominent Israeli violations in Jerusalem, including arrests, house demolitions, attacks on Jerusalemites and their properties, and settlement projects, in addition to the closure of Palestinian institutions operating in the city. The report considered the arrest and home detention aim to break the will of the Jerusalemite citizen and dissuade him from expressing his refusal to the Israeli racist practices. The Israeli arrest campaign has targeted Palestinian children less than 16 years, where they were subjected to interrogation, paying fines, and home detention in order to affect his psyche and to restrict his freedom. During the last six months, more than 350 Jerusalemites were arrested, including children and women, most of them from Silwan and Issawiya, where 60 Jerusalemites were arrested each month. The report pointed out to the Israeli demolition policy in Jerusalem, where 26 houses were demolished in Jerusalem during the second half of 2012. The demolition orders were concentrated particularly in Silwan, in addition to other neighborhoods, as settlers took over a number of other buildings, including residential buildings of five floors in Jabal al-Makbar. Furthermore, the report said the past six months have witnessed several settlers' attacks on young people and Islamic and Christian religious sites. The report noted that the village of Issawiya has witnessed difficult circumstances and unprecedented violations during the last two weeks of December, where IOF carried out home raids, arrests and clashes. Regarding deportation policy, occupation authorities banned 40 Jerusalemites, including women and men, from Al-Aqsa Mosque and the Old City of Jerusalem for varying periods starting from 15 days and up to six months. The report pointed out that Jerusalem schools have witnessed a number of attacks and intrusion attempts by Israeli soldiers or undercover units, as happened at the Silwan and Tour. The Umayyad and Abbasid monuments in Silwan were also subjected to Israeli attacks, including the Department of Antiquities and the Jerusalem municipality. Regarding settlement projects, the report stated that the settlement activity markedly increased in 2012 where tenders were invited for the building of 2386 while tenders were invited for 312 settlement units in 2011. Ahrar center for human rights and prisoners studies stated, in its annual report on Israeli human rights violations in the Occupied Palestinian Territories, that there were 3,784 arrests across the West Bank and Gaza strip in 2012. November was the month with highest number of arrests due to the demonstrations in solidarity with Gaza all over the West Bank. The clashes between the demonstrators and the army were in every city. The number of arrests in November was 621, while August was the month with the least arrests. The number of arrests was 208, the center's director Fuad Al Khuffash, confirmed in a written statement. The center stated that there were (320) detentions in January, (380) detentions in February, (355) detentions in March, (285) in April, (240) in May, (265) in June, (250) in July, (208) in August, (246) in September, (292) in October, (621) in November and (322) in December, according to the statement. The Center said that al-Khalil has witnessed the highest level of arrests. Nablus was next followed by Ramallah, according to the statement. "In the Gaza strip the numbers were lesser than West Bank and were between the fishermen who were arrested from the sea and released after short time." The Centre pointed out that it works to document the arrest cases whether they were released or still under investigation, or under Administrative Detentions, stressing that the number of Palestinian prisoners in Israeli jails is about 4,200 prisoners.